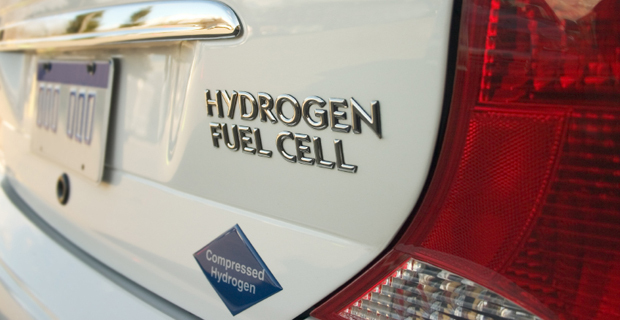 Hydrogen has enormous potential as an energy storage medium. This invention provides the key to safer, more compact hydrogen storage. Energy generated from renewable sources, like wind or solar power, is difficult to store and therefore unable to supply demand when weather conditions are unfavourable. A viable energy storage system is therefore vital. A material to effectively store hydrogen: by incorporation of the Hydrogen into a solid material, as depicted below, this is the safest storage method in comparison to gas or liquid solutions. • Compact high-density storage capacity: a 10-fold reduction in H2 storage volume. • Scalable for both domestic and industrial applications. • Versatility to couple this Hydrogen storage material to renewable energy sources. Hydrogen fuel industry, in particular, Hydrogen storage solutions. We are seeking potential research collaborators and industry partners to further develop the invention.